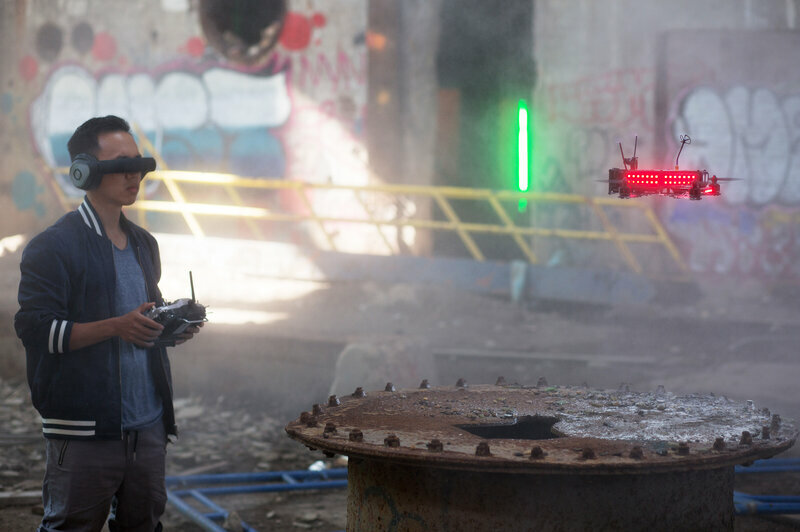 Can drone racing be the next NASCAR? That&apos;s what Nick Horbaczewski is banking on. 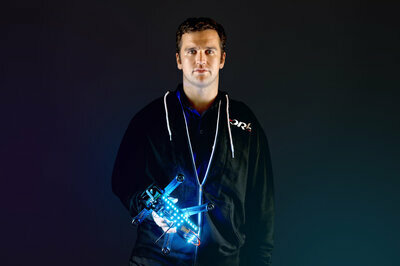 He is the CEO of the Drone Racing League, and he has lined up millions in venture capital to bring his vision to reality. Using remote-controlled quadcopters with onboard cameras and virtual reality goggles, pilots race the drones through complicated courses with hairpin turns, obstacles and precipitous drops. The first-person perspective lets spectators watching the race videos online feel as if they are in the cockpit too, racing at dizzying speeds of 80 mph or more. The pilots are from around the world and race under names like KittyCopter, Legacy, Steele and UmmaGawd — and, like so many athletes, participate in the drone racing version of trash talk. So far, the races have been filmed and posted online. The league is working toward live events and live broadcasts. More than a dozen drone pilots are lined up for the 2016 race season, which kicks off next month at Sun Life Stadium, home of the NFL&apos;s Miami Dolphins. "It&apos;s a whole new world — it&apos;s right on the borderline between the digital and the real," Horbaczewski tells NPR&apos;s Rachel Martin. These are small, quadcopter drones, and they go very, very fast. ... Same concept [as the hobbyist version], but ours are sleek carbon fiber, very powerful, and they go north of 80 miles an hour. These are serious pieces of equipment, and they have a little camera on them that feeds a video signal back to the pilots. So the pilots are wearing these goggles that see what the drone sees, basically, so it&apos;s like sitting in the cockpit of the drone. And they fly it with the remote control through complex three-dimensional racecourses that we set up in interesting and unique venues, like NFL stadiums and abandoned buildings all over the world. It&apos;s a new sport and you have this three-dimensional course. ... We have these gates that [the drones] fly through that we light up in bright lights so that they can see them and the audience can see them, and the drones have to pass through them and follow a particular path through the space. It&apos;s a whole new world. It&apos;s ... right on the borderline between the digital and the real, &apos;cause it&apos;s sort of like a real-life video game. 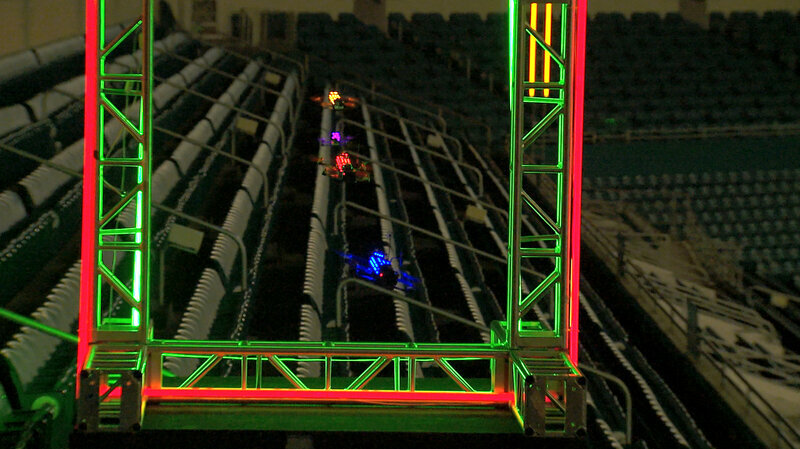 At the Drone Racing League, we design and build all of the drones that are used in our events. So we&apos;re bringing over a hundred drones to an event, so it&apos;s a sizable team of people that are drone engineers and fleet managers that keep all those drones in pristine working order. There are tons of unknowns in our [videos]. ... There&apos;s drama, there&apos;s moments of disappointment, there&apos;s ties, there&apos;s tie-breakers, there&apos;s heartbreak and the thrill of victory. It&apos;s all in there. This is racing. It&apos;s got all the elements of car racing but mixed with three-dimensional flight. We bring all those stories out, we tell you who the pilots are, we tell you what&apos;s happening. Oh, there are lots of crashes. Crashing is a part of the sport of drone racing. You&apos;re flying very high-speed craft through narrow spaces, and pilots will occasionally miss a turn and they hit a wall, and these drones disintegrate, because they&apos;re flying so fast and they have so much energy. But it&apos;s part of the fun. It&apos;s a drone. When that happens, we get a new drone, and pilots get a new one in the next race. And no one gets hurt.